The island of St. Lucia is one of the most naturally beautiful and picturesque places in the English speaking Caribbean islands. St. Lucia offers stunning beaches, naturally beautiful attractions and a wide array of accommodation in St. Lucia options – from all-inclusive resorts to luxury villas. There is the perfect accommodation type for every visitor to this beautiful Island. 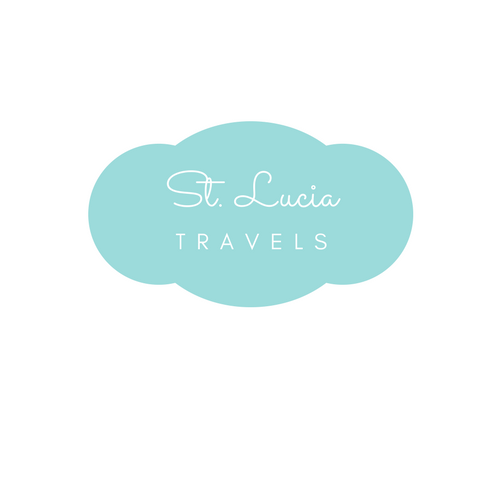 If you are considering taking a trip to St. Lucia but would prefer to stay in one of the luxurious Caribbean Villas on the Island, continue to read! We will highlight some of the best luxury villas in St. Lucia that you can choose from for your next trip. C’est La Vie is a secluded five-bedroom luxury villa set in a tropical garden in Gros Islet, St. Lucia. It is the perfect hideaway for hosting small events such as weddings and family retreats. C’est La Vie is located just a few minutes away from a secluded cove that is home to multiple species of fish and other marine animals. Guests of C’est La Vie enjoy snorkeling and scuba diving in the stunning waters of this beautiful cove. This luxurious St. Lucia accommodation can accommodate a maximum of ten people and is a great accommodation option if you seek a homely retreat when you travel to St. Lucia. This St. Lucia accommodation also offers butler service, housekeeping, maintenance, and on-call concierge service. A fully equipped kitchen is also available, and a Chef can be provided if requested. The villa is located within five minutes away from a stunning private beach for you to enjoy and you receive the added value of free airport transfers if you book at least seven nights at C’est La Vie. Villa Equinox is a breathtaking four-bedroom Caribbean Villa perched on Sea Breeze Hill in Cap Estate, St. Lucia, providing panoramic ocean views. This St. Lucia accommodation is stunningly beautiful. It’s private Villa comfortably sleeps eight people, and housekeeping and cook services are included in your stay. Villa Equinox also includes two ocean view pools for you to kick back and relax while enjoying the natural beauty of the St. Lucian coastline. Villa Equinox is also equipped with a barbecue, free WIFI services, cable television and security deposit boxes for safekeeping of your valuables. You will be sure to have a relaxing vacation at your own pace if you choose Villa Equinox for your next St. Lucia getaway! Located in the picturesque and stunning Marigot Bay area of St. Lucia, Villa Ashiana is a relic of classic colonial design and charm with modern touches. This five-bedroom gem, with each room having a patio or a deck provides you with the pleasures of viewing the non-stop activity of yachts and boats sailing across the charming Marigot Bay waters; you will feel a sense of complete bliss! You can also relax in the pool or admire the beautiful sunset from your patio while sipping on your favorite cocktail! This amazingly beautiful St. Lucia accommodation also includes free WIFI, a barbecue, safes, and cable television for your total comfort. Villa is a great option for private Caribbean accommodation in Marigot Bay. Xhale Luxury Villa is a four-bedroom five-star villa located in the serene Cap Estate region of St. Lucia. This villa is perfect for you if you seek a relaxing escape from the hustle and bustle of society and want to just breath and “exhale” the Caribbean air and reconnect with nature. The Xhale Luxury Villa is surely a sanctuary for the rejuvenation of the mind, body, and soul and is regarded as one of the best luxury villas on the island of St. Lucia. Each room at Xhale has private balconies that provide stunning ocean views. Other amenities include an infinity pool, fitness center, fire pit, and a yoga deck. This St. Lucia accommodation also partners with some of the best local providers of water and land-based activities who will create customized options for you based on the specific experiences that you desire! The Villa includes a fully equipped kitchen, barbecue grill, cable television, maid service, laundry services, and free WIFI. Tamarind House is a spacious hideaway, nestled in the hills of Anse Chastanet, St. Lucia. This Villa is known for its spacious interior and large outdoor terrace. The Tamarind House Villa also provides guests with stunning views of the Caribbean Sea as well as the world-renowned Pitons. This luxurious St. Lucia accommodation is also perfect for you if you love the outdoors- there is an expansive space for gathering and outdoor dining, and a barbecue grill is also available to facilitate all your grilling needs. This elegant Caribbean Villa includes four-bedrooms, four bathrooms, a spacious living room, a dining room that can accommodate up to eight people and a fully equipped kitchen. Additionally, free WIFI, cable tv, safes, and a well-maintained pool are also available at Tamarind House. The exquisite Villa at Panorama is another St. Lucian beauty tucked away in the exclusive Cap Estate located at the northern end of the Island. Villa at Panorama is a private and intimate two-bedroom escape surrounded by lush tropical vegetation and perched above the serene Caribbean Sea. There is no better place in St. Lucia to relax with your special someone or your small family than the Villa at Panorama. This private St. Lucia accommodation luxury villa also offers a beautiful swimming pool, barbeque grill, fully equipped kitchen, washer and dryer, a safe, cable television and free WIFI. Villa at Panorama is a great option for a homely accommodation while traveling through St. Lucia! Villa Susanna is one of St. Lucia’s best kept secrets. Located on three acres of beautiful gardens and lush vegetation overlooking the world famous Marigot Bay, Villa Susanna is perfectly situated to provide you with a relaxing and scenic vacation in paradise! This luxury villa offers six bedrooms, that comfortably sleeps twelve guests, there is an open concept living room inside, and a beautiful gazebo outside that can accommodate as much as fourteen people for a delectable sunset dinner. The massive 65 feet pool is an excellent place to spend some time enjoying the warm Caribbean sun while relaxing. This St. Lucia accommodation also includes an outdoor brick pizza oven and barbecue grill for you to display your culinary skills or if you want to, you can hire a Chef to take care of business for you! With free WIFI service available and cable television, you will be able to keep connected of the happenings of the world, while enjoying your heavenly vacation! Villa Atlantis is a six-bedroom luxury villa, found in the hills of Cap Estate St. Lucia. Villa Atlantis provides you with excellent views of the Azul Caribbean Sea and comfortably sleeps, twelve guests. This luxurious Caribbean Villa comes with a fully equipped kitchen, spacious dining room and living area for entertainment. The outdoor area is even more impressive, with a 60 feet swimming pool and spacious areas for dining and just relaxing. Villa Atlantis also has a fulltime gardener and housekeepers on staff, there is also a pool attendant, and a Chef is available to prepare two meals per day. The Property Manager is just a phone call away if necessary. This luxurious St. Lucia accommodation is another exceptional option for an exclusive St. Lucian Vacation. Villa Decaj is a modern Caribbean Villa located in the opulent Cape Estate community in Northern St. Lucia. This charming and relaxing property offers five-bedrooms surrounded by a tropical garden which results in you getting all the seclusion that you need. It is the perfect place to stay if you are seeking a tranquil Caribbean getaway from the fast-paced nature of life in today’s society. This exclusive St. Lucia accommodation also includes a relaxing pool for you to chill while time passes away without you having to worry about anything at all! There is also an outdoor barbecue grill available and a spacious area to facilitate dining with your friends and family while you watch the calming waves of the Azul Caribbean Sea or observe an interesting game of golf at the stunning golf course that is just below Villa Decaj. If you still want all the modern amenities, no worries, you will have free WIFI and cable television to keep you abreast of all the happenings in the world! If you are seeking a private Caribbean Villa with a lush garden setting as a backdrop and stunning views of the serene Caribbean Sea, you need to look no further than at Villa Hall. Villa Hall is the perfect home away from home and includes six well-appointed bedrooms, a fully equipped kitchen, a luxurious infinity pool and an extensive outdoor area for dining or hosting your events. This amazingly beautiful St. Lucia accommodation can comfortably accommodate twelve guests and includes a fulltime Housekeeper and Chef to ensure that you are pampered and fed while at your “Caribbean Home.” There is complimentary WIFI throughout the property, sun loungers and a rustic hammock which are all in keeping with the concept of relaxation and homeliness that Villa Hall is all about. So, go ahead and book your stay at Villa Hall in St. Lucia, you will have a vacation to remember for a long time! St. Lucia has some of the most luxurious villas in the world and I have put together a couple so you don’t have too. Feel free to book through the given links through HomeAway and let us know which one you choose. We would love to hear about your stay. Looks amazing! I’ve only been to the Netherlands Antilles in the Caribbean. Looks awesome! Thank you for sharing! your pics are beautifully done! This looks amazing! St. Lucia is on my bucket list and now I know a beautiful place to stay. I really like all the pictures. Thank you for posting!! My mom was just telling me she wants to visit St. Lucia! All of these spots look so beautiful ! Is there one that you prefer or are any of these your favorites? So gorgeous, I went to St Lucia maybe 20 years ago and it was not as built up and accommodating. It is a truly beautiful island with the most lovely people.